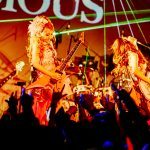 The Japanese music genre of all-female metal bands is really spreading globally now, and bands such as Aldious, Mary’s Blood, Bridear, and Band Maid are drawing audiences abroad that the likes of SMAP or Arashi could never attract outside of Japan regardless of the echelons they reach at home. 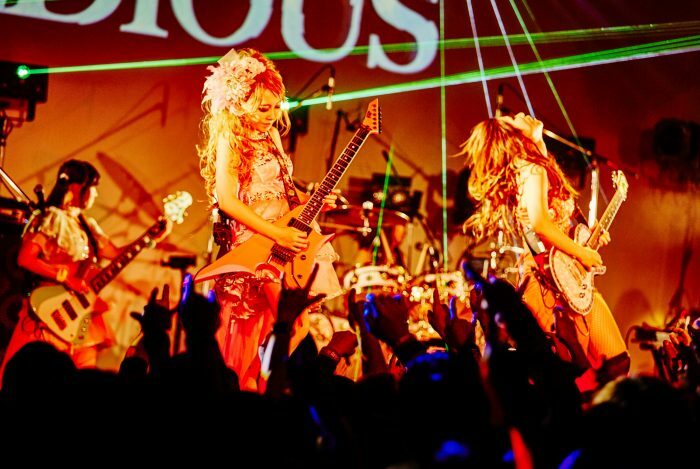 Kansai’s own five-piece band Aldious is one of the pioneers of the scene starting out in 2008 and hailing from Osaka. They have had a few lineup changes since the early days, but bassist Sawa and guitarists Yoshi and Toki have been there since the band’s debut album Deep Exceed (2010). At the end of last year, vocalist Re:NO announced that she would be leaving the band due to health reasons, but Aldious are continuing with a 45-date Japan tour featuring guest vocals from others of the genre, R!N and Saki (Cyntia).